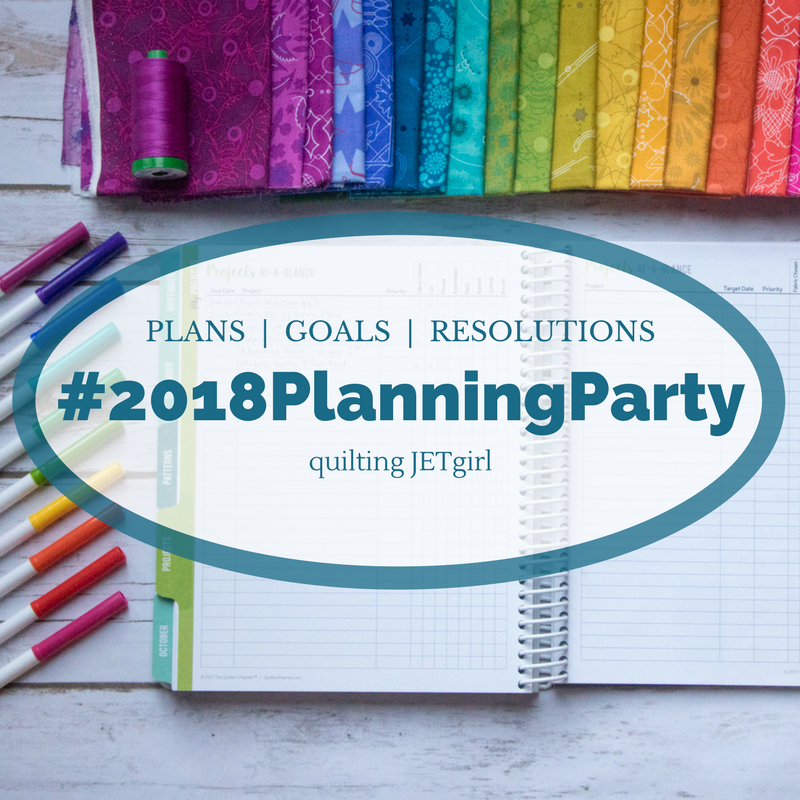 Joining in with the 2018 Planning Party over at Quilting JETgirl. So one half of the year has gone so let’s see where I am! Quilt about three tops that I have One done – the Solstice Quilt. Two to go. Finish off a QAYG project that I started in 2017 and lost interest in, by doing a half size quilt Still to be done. Finish piecing my log cabin hearts and sew into a top. ⇐ Working on at present. I have all the blocks complete and I have them sewn into rows, so next step is to join the rows. Plan a quilt and look for fabric that will suit it, one in memory of my mother, when planned start it. ♥ Planning started, fabric gathered. I have a few blocks done for this. Ideally like to work on it at least one day a week. Link with my sister to make a memory quilt for my Dad – we did save his clothing and my sister has prepared pieces. ♥ Off the list as my sister is well ahead with this. Learn some photography skills for both quilt and book blogging I have been reading about this and have endeavoured to improve how I present a block and to photograph a quilt outside where possible. Take part in the Splendid Sampler 2 sew along. This entry was posted in Quilts and tagged 2018, goals, quilt by Kathryn. Bookmark the permalink. You have made outstanding progress thus far. Keep working hard toward those finishes. Yes I will, I wonder will I ever clear all the projects and have a clean slate to start something new without something else unfinished. Something to think about! Thanks Roseanne. Yes actually I have become quite active with the bookcase blocks. I’ve always wanted one of these. I love the colours in your solstice quilt and admire your great list of goals! Thank you Ruth, I like the colours too and they are best in actual reality as well. Congrats on finishing your Splendid Sampler! I’ve got a pile of blocks from the first round. Not enough for a quilt, but enough that I don’t just want to scrap them. I have no idea what to do with them so I’m pretending they don’t exist for now. Thanks Karin. I’d say make something from it. I made a scrappy one first of thirty blocks that made a little throw quilt that I love using on a cold winter day over my lap!